I joined Dr. Peter May's ornithology field trip this morning. While the students were identifying various Floridian birds, I was poking around looking for more terrestrial critters. 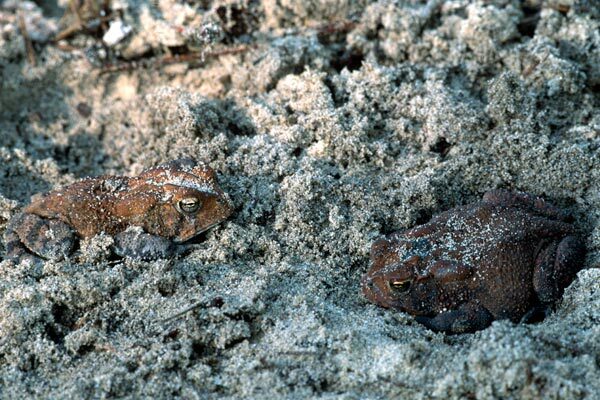 This pair of toads were settled in the sand under a discarded piece of drywall. 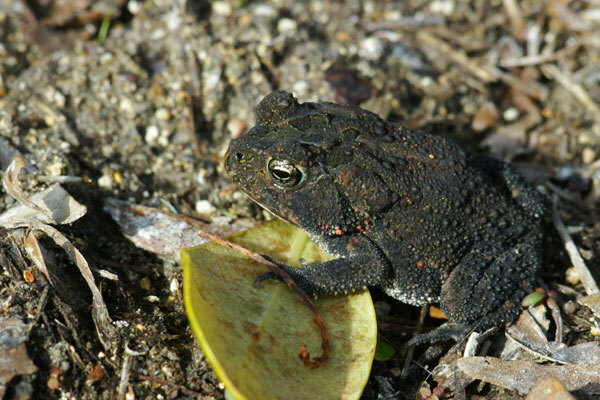 Southern Toads are extremely variable in color. These two seemed pretty different to me (light tan and deep red-brown), but Peter said these were practically identical twins out of the range of possible colors that this species assumes, from gray to brown to red to charcoal. 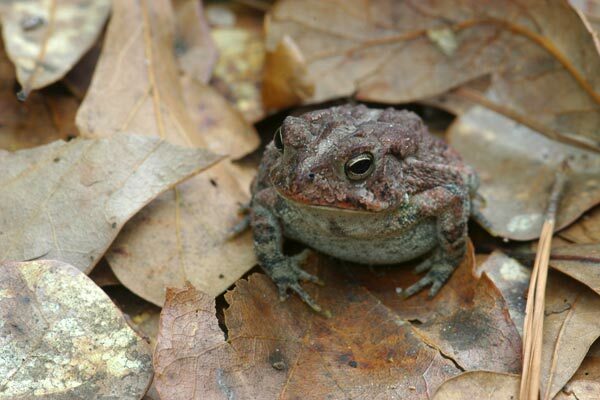 This half-grown toad was hanging out in the leaf litter near the camp bathroom, waiting for the paparazzi to spread his image to an admiring world. Here's a much darker individual that was hiding out under an old piece of tin. Old pieces of tin are a great place to find amphibians and reptiles. 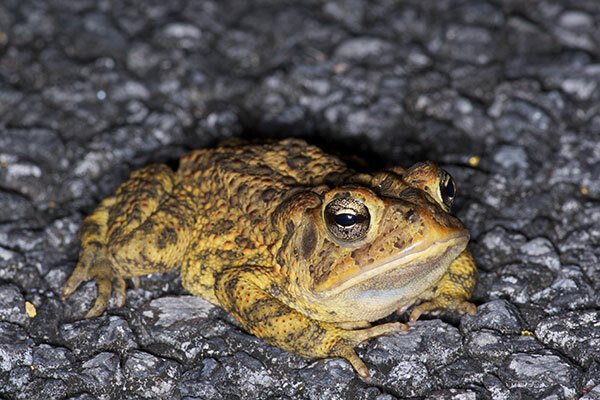 This toad has found the very best spot on the road, and has no intention whatsoever of abandoning it. This lonely male was trilling away in broad daylight. 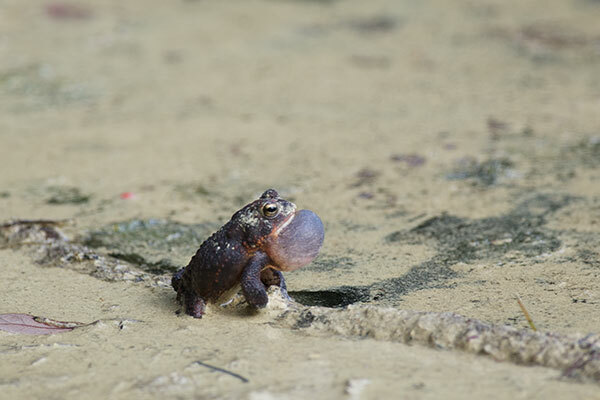 He seemed a little small and young to be involved in the wooing of the lady toads, but maybe I'm just an old fogey.